Reed Travel Exhibitions has revealed details of exhibitors who have re-booked and increased their stand size for AIME 2009. 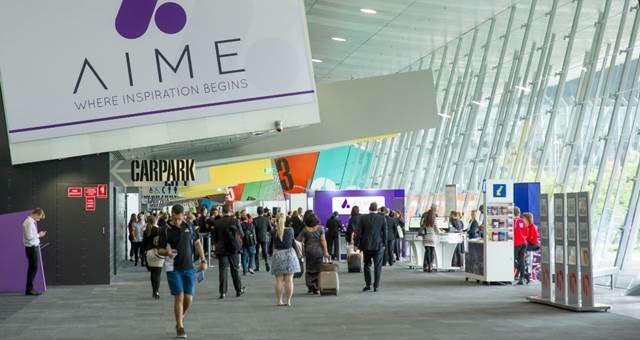 AIME acting event director, Elizabeth Sarian, said the event that will be held on February 17 and 18 at the Melbourne Exhibition Centre will also benefited from a new floor plan. “Bookings have been extremely strong during our priority booking period and we are now accepting space bookings and enquiries from new exhibitors,” she said. According to Sarian, Business Events Sydney (formerly Sydney Convention & Visitors Bureau) has significantly increased its space at AIME and its stand will incorporate a number of co-exhibitors from NSW. Sarian said a number of bureaux — including Tasmania, Brisbane Marketing, Sunshine Coast, Cairns and Perth — have also increased their space at AIME next year. Melbourne Convention + Visitors Bureau will once again have a strong showcase of meetings and incentive product, with co-exhibitors from Melbourne and regional Victoria, including the new Melbourne Convention Centre, the new Hilton Melbourne South Wharf and the new Southern Star Observation Wheel. Exhibitors from Asia are also well represented, including Hong Kong, Malaysia, Indonesia, Thailand, Japan, China, India and Korea returning. Of the Asian exhibitors, Singapore, The Philippines, Brunei and Macau have confirmed they are increasing their space. South Pacific Islands attending AIME will include Fiji, with a larger presence than previously as well as for the Cook Islands, New Caledonia, Vanuatu and Tahiti. South Africa intends to increase its brand awareness with a larger stand as well as more co-exhibitors and additional marketing through its sponsorship of the Globe Restaurant and Bar, where exhibitors, buyers and visitors can sample the country’s cuisine. A number of airlines will be in attendance, including Etihad Airways, which previously exhibited under the Abu Dhabi banner and will be taking its own 75 square-metre stand at the event. LAN Airlines will also have a larger stand space, while Qantas and Virgin Blue will have significant booth space. Last but not least, Dubai has returned as an exhibitor and has confirmed it will display a significant showcase of meetings and incentive products and services.